Bookings for Sandholme are made directly with the Owners, check availability by making an enquiry. Suitable for groups of up to eight people, Sandholme Guesthouse can be booked as an elegant holiday rental - with all guests enjoying their own en-suite guestroom with a spa bath. Peak holiday bookings of 7 nights min with 3 & 4 night bookings available at other times, Simply make an enquiry. 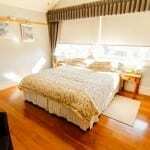 Located in Huskisson, near Jervis Bay on the NSW South Coast, Sandholme Guesthouse offers luxury accommodation, in a very tranquil and unique setting. 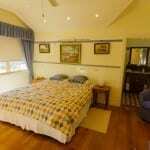 Just two and a half hours from Sydney and Canberra, Sandholme Guesthouse is an idyllic and unique holiday destination – with plush guestrooms, modern facilities, and renowned south coast hospitality. The guesthouse is just a short walk to some of the south coast’s most magnificent attractions; the white sandy beaches and clear waters of Jervis Bay, magnificent Booderee National Park, experience Dolphins and Whales during a cruise and all located on Jervis Bay (marine park), Huskisson offers access to fine dining restaurants, a Cruise wharf, maritime museum and the opportunity to walk with nature. Sandholme offers a level of hospitality not normally experienced in a Holiday Rental accommodation. Bring your special vintage car or motorcycle and be assured of their security in the under house parking area. Sandholme located in Huskisson, Gateway to Jervis Bay, is closely connected to all services, beaches and attractions. Available from 15 December to end April and throughout the year. 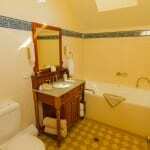 Sandholme Guesthouse is a spacious home originally built as a 5 Star Bed and Breakfast. Post retirement in 2015 we offer Sandholme as a self-contained Holiday Rental for families and groups of up to eight people. There are extensive communal areas and the four guestrooms have en-suite and spas. Air-conditioned throughout, Sandholme offers luxury, style and comfort just a short walk from beaches, restaurants, shops and attractions. 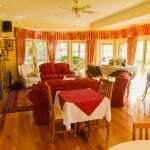 The guesthouse kitchen provides cafe’ style seating for breakfast and a more formal seating for eight people is available in the guest Lounge/Dining room, either way, Bon appitite! 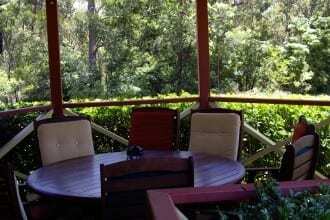 Two couples spent the weekend at one of the finest guesthouses in New South Wales. Every modern facility in a first class guesthouse. Wonderful hosts with attention to every detail both in the accommodation and in guiding you to the best locations: beaches, sights, restaurants. My wife and I stayed at the Sandholme Guest House recently and found Alan and Christine to be brilliant hosts. 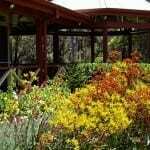 The place is lovely and Huskisson is a great small town surrounded by beautiful beaches and national parks. 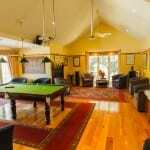 The Jervis Bay area is fantastic for beach lovers and the Sandholme guesthouse is a perfect base for exploring the area and the many surrounding beaches and national parks. We had 2 rooms Dolphins Playground and Turtles Playground for 2 nights. Both of these rooms were tastefully decorated and very comfortable. The rooms were very homely and we would have liked to have stayed a bit longer. We could not fault Sandholme Guesthouse, the Hosts were very obliging, and friendly, the room was beautiful, very comfortable bed, loved the en-suite bathroom with the spa, we were only there one night, but would be happy to stay longer. 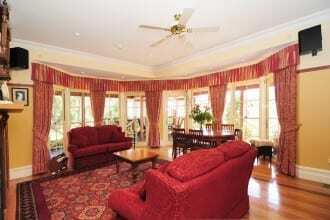 We stayed 2 nights in this gorgeous B&B in september, as part of a short visit to Australia. Alan and Christine make sure you feel welcome and will provide you with all the information and help you need. 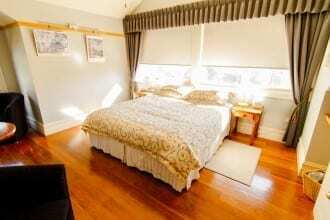 If you like B&Bs, make this place a must visit if you are in Jervis Bay. The hosts are lovely, decent people, and they help make you feel most welcome when you arrive without being intrusive like some can be. Sandholme is the best B&B experience I’ve ever had. Alan and Christine, the owners, are so friendly and just delightful. They were very accommodating with our late arrival, helpful in telling us about the area and things to do, and just so pleasant to talk to. And they have thought of EVERYTHING. …All guests have a checklist of requirements for their stay – mine was garaged parking, free wi-fi, a clean room and crispy bacon! I am happy to say Alan and Christine met all my expectations!